Provides a low amount of coverage for people who need to cover medical and funeral costs. Premiums paid in can end up being greater than the face value of the policy. Older customers who need a small amount of coverage to offset end-of-life costs. Final expense insurance is an insurance policy used to pay for burial expenses and funeral services when the named insured dies. It helps to ease the financial burden that often falls on family members. Although life insurance policies in this category are called final expense or burial insurance, we provide these no medical exam polices as traditional life insurance policies, which means the named beneficiary could use the proceeds for any purpose. If you answer yes to any of the questions below, we will not be able to secure a final expense policy for you. Is the proposed insured currently in a hospital? Is the proposed insured currently in a nursing home? Is the proposed insured currently receiving hospice care? Has the proposed insured been advised by a medical professional that he/she has less than 1 year to live? Is the proposed insured over 89 years old? Has the proposed insured tested positive for HIV or been diagnosed with AIDS? Has the proposed insured been diagnosed with Alzheimer’s disease or dementia? Price – We’re an independent insurance agency that does business with all of the top final expense insurance companies. Experience – We have a dedicated department with agents who have decades of experience specializing in final expense polices. Knowledge – We can answer any questions you may have and deal with the insurance companies on your behalf. Speed – Policies are issued immediately or within 48 hours, depending on the insurance provider. Jason was great! He gave me all the information from beginning to end, he returned all of my calls promptly, and gave me the best experience ever!! I was hopeless when it came to life insurance due to my own personal reasons, I even got hopeless this time and Jason said wait a minute I can help you with this and he did!!! Thank you Jason for making my family life better!! With the cost of funeral expenses soaring, final expense insurance can help cover costs incurred during the end of life, such as medical bills and other expenses. 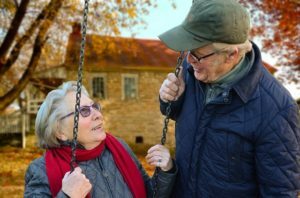 Although that is the ideal reason to use this type of coverage, beneficiaries can use the death benefit payout however they want. What does final expense insurance mean? Exactly what the name suggests. 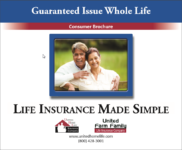 This type of life insurance coverage is presented as a product that provides a small benefit intended to ensure that costs associated with the death of the insured have some level of financial coverage. Given that many health insurance policies are now structured as high-deductible health plans, where there is still a significant financial obligation, final expense insurance is often used to help protect loved ones from financial responsibility for the insured person’s end-of-life medical expenses, as well as the costs of funeral services — which are continuing to increase. Final expense insurance gives people peace of mind because they know their spouses and other family members will not be saddled with unexpected expenses during an already difficult time. This coverage is best suited for individuals over the age of 50 who are looking for a very small policy with the intention of using the proceeds to help protect the surviving family members’ responsibility for funeral arrangements. However, the payout can be used by the beneficiaries as they see fit. Which final expense insurance companies have the best rates? Insurance rates are constantly changing. Each final expense insurance company sets its rates based on the company’s underwriting criteria, and that can change from month to month or year to year. The best way to figure out which of the final expense insurance companies is right for you is to reach out to an independent agency like True Blue and let an agent there shop the insurance companies for the policy that makes the most sense for your current needs. Is final expense insurance a good deal? It can be. However, the higher premiums and the low death benefit these types of policies have can easily become inverted. What that means is, over time, you could end up paying more in premiums than the face value of the policy. This is why this type of policy is best for people who are older. Final expense insurance isn’t really intended for younger adults.